Problems there linked to Act 10’s elimination of union workers’ rights. 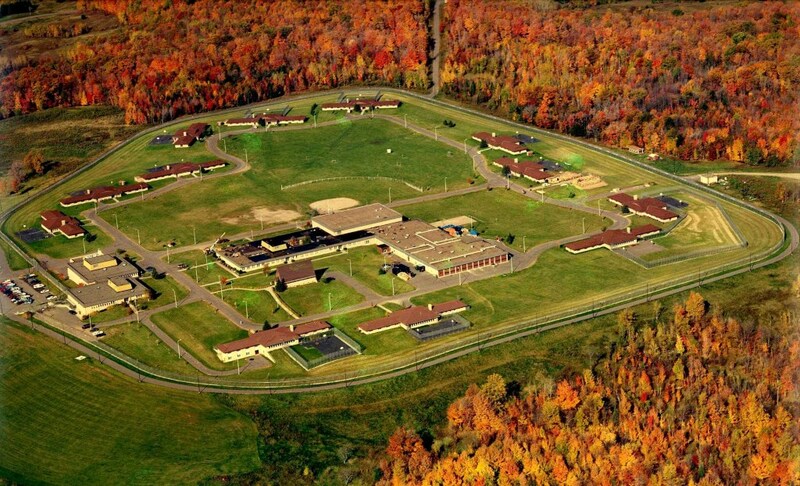 Just because Scott Walker refuses to visit the problem-riddled correctional facilities in Northern Wisconsin, it doesn’t mean those problems have gone away. As Molly Beck of the Wisconsin State Journal has reported, the problems are getting worse, with more guards being threatened and assaulted than before. According to records released to the Wisconsin State Journal on Friday under the state’s open records law, the number of times inmates assaulted or tried to hurt staff at the Irma prison have risen more than 30 percent so far this year since 2016. DOC staff at the youth prison recorded 195 times staff members were injured in 2017, assaulted or inmates attempted to assault staff — up from 145 incidents recorded in 2016 and 32 reported incidents in 2015. It’s unclear whether that two-year jump is partially due to staff recording more incidents after 2015, when a federal investigation prompted DOC to hire new prison administrators and change its practices on record keeping. A DOC spokesman did not respond to a request for clarification. But staff at Lincoln Hills and Copper Hills are also saying that the problems at Lincoln Hills aren’t just due to kids that are out of control, as you will see in this report from Channel 12 in Rhinelander. While staff members agreed that the injunction limiting the use of pepper spray and handcuffs on the inmates had allowed some of the juveniles to act up more, since the consequences weren’t as harsh, the WJFW report quotes numerous staff pointing to a certain “bomb” that led to this mess. “In my opinion, Act 10,” said [youth counselor Stacy] Daigle. “The brakes came off when Act 10 was enacted,” said Doug Curtis. “The Walker administration came in they came up with Act 10, they took our union rights away and next thing you know, everything started going downhill since then,” said [youth counselor Kal] Tesky. Curtis retired a year ago after working for 20 years at Lincoln Hills. The dangerous environment was a major reason he left when he did. He still represents the prison’s union workers and worries about them. “It’s only a matter of time before someone gets killed up there,” said Curtis. It also seems telling to me in the article that Northwoods State Sen. Tom Tiffany says the area around Irma needs the jobs, and that the rural community is a way to allow the youth to get away from bad influences. Hey Tommy: They are in a prison regardless of where it is, so they’re not on the streets in any of these scenarios. But you know what does increase the chances of those youths getting back on the right path? Being near family and having counselors that have familiarity with the environment those kids may have come from. I don’t see either of those items happening in Irma. In Beck’s Wisconsin State Journal article, she notes that the Wisconsin Chapter of the ACLU argued in a recent court filing that the State Department of Corrections still isn’t doing their part to provide adequate working conditions at these youth facilities. But attorneys from the American Civil Liberties Union-Wisconsin and the Juvenile Law Center, which are representing inmates in the lawsuit against DOC, argued that the DOC is failing to adequately staff the prison, provide adequate programming for inmates and to implement the order’s goals. Some inmates causing the trouble are not being treated properly either, the inmates’ attorneys argued. And the disaster at the facilities for Lincoln Hills and Copper Hills is a direct result of Walker’s political choices to take away the bargaining rights of state employees, and in closing the state’s juvenile correctional facilities near Milwaukee, and shipping those kids hundreds of miles away to the Northwoods. By this time, there is no band-aid response from the Department of Corrections or any other attempted face-saving by the Walker Administration to fix the bad results of this failed strategy. It requires new leadership that actually cares about providing the best working environment for state staff at these facilities, and leadership that cares about improving the future lives of the youths that are sent to these facilities. Neither is true today at Lincoln Hills and Copper Hills. Here are two letter that I have written the Judge on this matter. I have not had time to read the response to the November 11 order but what little I saw of the State’s response was to characterize the kids as animals. I read the story about your orders concerning Lincoln Hills School for Boys. What kind of School shackles its students? What kind of School tasers its students? What kind of School puts its students in Solitary Confinement for a day, or a week, much less months? Yes, what kind of a School does these INHUMANE activities? You heard the testimony so there is no need to go over that again. We know the State of Wisconsin BY ITS ACTIONS sees these juveniles, as they are being treated, as animals rather than the abused and or traumatized children who desperately need treatment. The attorney for the DOC, Sam Hall, argues that the DOC officials and therefore the State of Wisconsin itself “are not consciously disregarding the known harms of the practices, nor do they have any ill will toward the inmates” as reported in the Wisconsin State Journal. We also know that there is an underlying attitude that creates the environment that allows human beings to be shackled, to be tasered and to be held in solitary confinement for significant periods of time. It is this underlying “attitude” that must be addressed by you if the constructional rights of these juveniles are to be respected much less honored. If any parent or other responsible party did what the State of Wisconsin through its Lincoln Hills School for Boys staff dose, it would be judged without doubt as Child Abuse. The State of Wisconsin has chosen the most physical methods, methods of a by gone century, to deal with children who are significantly injured and need healing NOT MORE ABUSE AND TRAUMA. I know of two programs that have proven track records of healing individuals who have experience the abuse and trauma that the juveniles, at Lincoln Hills School for Boys, have suffered. The first is called Community Building Workshops (CBW). Rather than try to describe what a CBW is and how it works I have included My Soul Said to Me. Chapters 2 and 3 describes a CBW that took place inside Dixon Correctional Facility in Louisiana a number of years ago. Chapter 1 is about Robert Roberts who wrote the book and was a facilitator for CBW’s until he died a year ago. The rest of the book is about the reentry work of Project Return of New Orleans. The DOJ has given this program very high marks for being effective. The second is called Brain Wave Technology. It was developed by Lee Gerdes. Again, I will not try to describe the program but direct you to a short You-Tube that can be found on the internet by googling Lee Gerdes. There is one of 14 minutes and another of 57 minutes. Community Buildings Workshops are being used by Wisconsin Community Services (WCS) in its treatment of juveniles. Clarence Johnson Ex Director of WCS will surely be able to answer any questions the Court may have about CBW. Attached is my letter of July 3, 2017. I know that you have it but the others may have misplaced theirs. The letter of the “law” (order) or the intent of the law (order). Which do you follow? The State of Wisconsin stopped some of its ABUSIVE BEHAVIOR and LOOK HOW TERRIBLE “THESE” CHILDEN ARE, WHO HAVE BEEN CAGED and ABUSED for how many years. While the State of Wisconsin got my letter with very specific suggestion on how to proceed neither I nor anyone else was contacted, who could have helped the State of Wisconsin with the HEALING that each child MUST experience. How to proceed GET HELP The State of Wisconsin has demonstrated that they have NO CLUE how to proceed for the safety of the children. The State of Wisconsin thought that the “guards” that had abused, tasered etc (at the direction of the State of Wisconsin) these children will in some way have a CIVIL relationship with the children whom they had abused (at the Direction of the State of Wisconsin). Most unfortunately the State of Wisconsin has demonstrated that it does not have the capacity to do what is necessary to protect these children who they have abused. First from a photo of Lincoln Hills it seems that there are dorms. Not clear on the numbers but assume that there are bedrooms with a day room in each of the 10+ buildings. Immediately all services will be provided in their home. Yes each of these dorms (family units) will be made into a home, a home that many of them have never had. They will have TV’s and other video games and comfortable furniture etc. They will have house parents (6 in number, 2 first shift 2 second 2 for the weekend) regular staff for the rest of the hours. These parents will know all the kids and have effective skills to relate to their extended family. Birthdays will be celebrated as will all the holidays. If safe they will eat in the dayroom at tables of 4. The safety of the family will determine what kind of dinner ware is used. The food will be the quality of food purchased at a Pic and Save food store. Each week the family will decide the next weeks menu. At least once a week, family members will have a choice for a special meal of their choice. I assume that there will be dorms or individuals who until they heal will be required to “eat in their rooms”. Each dorm family will do both a Community Building Workshop and will work with Brain Wave Technology to begin the healing process that is REQUIRED for these children to become part of CIVIL SOCIETY that they have a RIGHT (constitutional right?) to. Education will take place in their home until such time as classes can safely resume in the school classrooms. If the State of Wisconsin can in their report to you demonstrate that they are capable of CARING about the children, as if they were their own, then the whole process will be hopeful. Unfortunately, I do not expect the behavior of the State of Wisconsin to change significantly since they have demonstrated NO CARING for the children of Lincoln Hills and politically the headlines “See these BAD BLACK HOOLIGANS who beat up the innocent guards” reads really well in these times. They have used Milwaukee Public Schools and Public Education itself for their political ends and so since they have been successful with MPS and public education why not do prisons. To the degree, that HEALING is REQUIRED for a person to return to CIVIL SOCIETY, is the degree that progress will be made. PS The State of Wisconsin is on the hook for ALL the cost related to the children’s healing and their proper care. PSS What is the condition of the Wales Wisconsin facility that was closed? Can it be reopened if necessary? Ie the dysfunction is even at the dorm level at Lincoln Hills and/or there are no “guards” that are trusted. Staff who have written on a plausible connection between Act 10 and deteriorating conditions at the Irma youth facilities deserve the attention of all concerned parties. I would like to hear more from them.